At the Peninsula Jewish Community Center (PJCC), our work aligns with all of the value propositions outlined by Rabbi Sid Schwarz. The entirety of our work can be encapsulated in the four proposition though it is most closely aligned with the values of tzedek (social justice) and kehillah (community). Our Gan Tzedek (Justice Garden) program teaches children and adults about the importance of taking care of the community around them – not just the Jewish community – but anyone in need. The produce we grow supports a nearby homeless shelter for children and families. Parents have opportunities to show their children the importance of caring for others and to work alongside them in the garden, tending to vegetable beds. Families learn about social justice through a Jewish lens through text study and activities and are able to be engaged and connected Jewishly while also doing good in the world. As a community, our garden helps us publicly proclaim our commitment to care for others in need and teach the children of our community what it means to take responsibility for helping others. 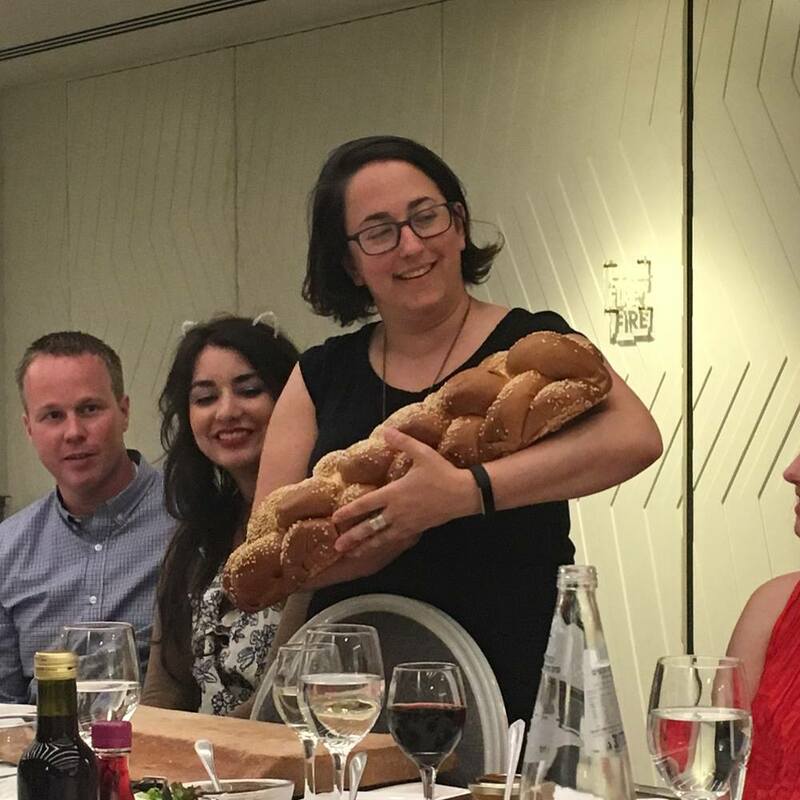 Our programming allows us to connect the rhythms of Jewish agricultural holidays to the value of tzedek, which draws in families who might otherwise not be interested in being connected Jewishly. For Jews who have a deep connection and commitment to social justice – as a part of their Judaism or otherwise, this program allows them to hold both at the same time. For young parents who are seeking meaningful ways to share their values and their Judaism with their children, the Gan Tzedek project is an easy way to do both. Our Get Up and Go program serves adults in our community who are still living at home but no longer able to drive. We provide rides to medical appointments and grocery shopping and other necessities, as well as rides to the PJCC for our Senior Friendship Club and other social programming. This program helps seniors remain as independent as possible while also helping them stay social and develop friendships. Many participants join the program after being widowed and describe it as a “lifeline” to life after a significant loss. The program fills a need that extended family may have filled in other generations. We know that as families become more and more geographically spread out, the safety net for seniors gets smaller. A participant who attended the program for many years with his wife recently died and she asked if his memorial service could be at PJCC. Our staff worked with her and her family to plan his service in our garden. This program gives seniors in our community a “congregation” to belong to, a community to be a part of, and support in happy and difficult times. The Nest is an initiative we are in process of launching to support couples about to enter parenthood and to support post-partum mothers. The program will offer classes for expectant parents on how to bring Judaism into their home life as they welcome their child. This class will be deeply informed by Jewish wisdom and its connection to modern life and parenting, so it is connected to the Schwarz’s theme of chochma. The program will also offer support groups, drop-in social groups and Jewish programming for mothers with infants. The first few months of the post-partum period is a very vulnerable and often lonely time for parents, especially mothers. We see our role in the community as a place to create connections for Jewish parents, to ensure they have adequate support and resources, to celebrate milestones together, and to build friendships that we hope will continue as their children grow. We believe that by bringing people together during a vulnerable time and providing support and resources, we can create deep and lasting community and a sense of place and belonging. The value of kehillah is central to the PJCC – community is a part of our name and it is at the heart of everything we do. As an organization we strive to create connections for people in our community, as well as with the larger community around us and be a place where everyone who enters feels welcomed, celebrated and valued. Stephanie Levin oversees the Gan Tzedek/Justice Garden at the Peninsula Jewish Community Center in Foster City, CA. 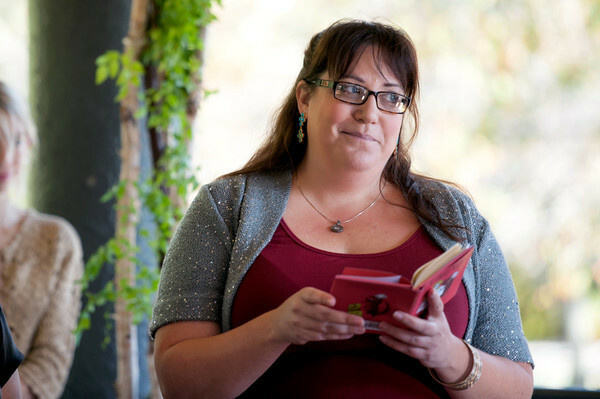 Stephanie is passionate about relationship-based programming especially within the areas of Jewish Family Education, Special Needs Education and Inclusion, Service Learning and Early Childhood Education. There are elements of each of Rabbi Sid’s four propositions by which The Tribe is founded, driven, and continually serves its Millennial community in Greater Miami. The Tribe embodies Wisdom/Chochmah both through rabbinically led text interpretation and by DIY Judaism, the latter of which serves to empower our volunteers with the notion that they too are Jewish leaders. One of our largest draws each year is our High Holiday Experience, which is held annually at the Rubell Family Collection, an art gallery in Miami’s hip Wynwood Arts District. Both Erev Rosh Hashanah, followed by a catered wine & cheese, and Erev Yom Kippur, bring in nearly 200 individuals. The event is free thanks to a grant from the Greater Miami Jewish Federation. While The Tribe is a mix of both Tribal and Covenantal Jews, this gathering appeals to our post-tribal, covenantal contingency, especially since the Judaism served is often in relation to other spiritual & wisdom traditions. In addition to traditional tefilah melodies and quotes from the Jewish wisdom masters, our service is integrated with quotes in our machzor, created by Rabbi Amy Morrison, from the Buddha, Rumi, Lao Tzu, Gandhi, Native American wisdom, Bob Marley, Yoko Ono, William S Burroughs, Abraham Lincoln, and more. Moreover, song leader, Mallie Duboff, will set prayers to popular modern tunes that engage our congregation. This Jewish experience, guided by multiple wisdom traditions and art milieus, keeps Millennial Jews coming back year after year for a truly, soul-fulfilling High Holiday Experience. On the DIY front, we lead a Tu B’Shevat Seder at our annual Jews in Canoes, a yoga Havdalah (another example of our merging wisdom traditions) and Shabbat on the beach. These DIY experiences engage and empower our lay leaders as we offer various avenues to spiritual wisdom via multiple Jewish holidays. Social Justice/Tzedek is a huge pillar of The Tribe. In fact, many of our strongest lay leaders have entered The Tribe via tikkun olam initiatives. Unlike other tribal Jewish organizations in Miami that seek to serve only the Jewish community, The Tribe seeks to bring healing and happiness to the disenfranchised youth of Miami. On a monthly basis we are volunteering at the Children’s Home Society, a residential pre-foster placement facility for infants to 12-year olds. Not only do we provide a meaningful experience for Jews identifying as global citizens, but we also integrate Torah into this experience, framing our monthly volunteering on the weekly parsha or a proximate holiday. Our Repairing the World programs ensure that Jewish Millennials have a consistent opportunity to act on their innate Jewish impulse to do good. The Tribe strives to be a community/kehillah, especially as a means of celebration through our premiere annual nightlife events, Vodka Latke and Yom Ha’aytz Miami. A recent survey of our Tribe regulars indicated that over 65% of respondents felt that their sense of Jewish community was stronger because of their participation with The Tribe. The Tribe resulted in 20% of respondents’ creating at least 7 relationships (friend, romantic, business, etc. ), over 40% created 4+ relationships, and over 85% created at least 2 relationships! Before The Tribe was established in 2007, our founders at Temple Beth Sholom, a Reform synagogue in Miami Beach, identified that people were leaving for college and not returning to synagogue life until they wanted to give their kids a Jewish education. That’s as much as 20 years without synagogue affiliation! To ensure Jewish continuity, both for means of engagement and for community & leadership building, The Tribe was established. With the establishment of an active board, The Tribe has strived towards a model of a synagogue-community, empowering our lay-leaders to plan our initiatives. This is exemplified in our volunteers’ leading the Jewish education component of our Repairing the World programs, helping to envision, plan, and advertise our large celebratory events, and even in the creation and participation of our DIY Jewish experiences. Upon someone expressing interest in The Tribe, the director extends an offer to go out to lunch or coffee so that he may listen to and empower these new Tribesters, subsequently slotting them into empowering roles within our organization, if in fact they wish to go beyond being a mere consumer. That said, the majority of Tribesters at the end of the day are consumers, with much of the work ultimately falling on The Tribe’s Director. As a result, The Tribe could best be described as straddling both the designs of a synagogue-center and synagogue-community, despite not being a synagogue at all. The key to The Tribe’s success has been its distinct branding and the fact that is functions independently from Temple Beth Sholom, which seeded it. With a separate director and board, it functions to empower and coalesce Jewish young professionals. There is no overt push to have our participants join Temple Beth Sholom. Of course we do hope that our participants will ultimately become not only members of a synagogue later in life, but also take lay leadership roles as a result of doing just that with The Tribe. The Tribe, in its early years, was sustained by a large grant from a foundation in the South. While this helped to provide top notch programs at a vastly reduced rate, we ultimately fell victim to this give-it-to-me-for-basically-free, Birthright mentality. The last several years have been transitioning to what we think is a healthier business model. We have sought to return the ownership of The Tribe to its participants through the establishment of our Chai Tribester membership initiative. Members, seeing the value of belonging to The Tribe both for gaining access to complimentary & member only events, and for the sake of belonging as members to our community, have slowly but surely been joining at increased rates each year since our inception of the initiative 3 years ago. We hope to continue growing our Chai Tribester membership base as people increasingly realize the value and sense of purpose that comes with membership, and the meeting of their communal, social justice, and spiritual needs that come with belonging to The Tribe. 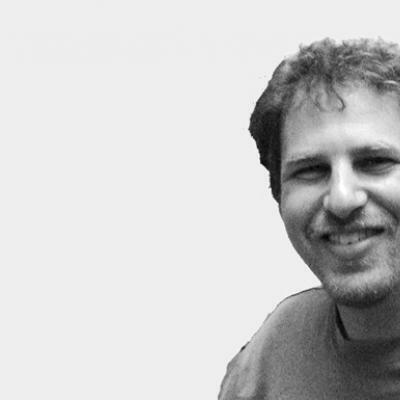 Greg Lawrence grew up a Reform Jew in New Jersey and became a Pluralistic, Egalitarian, Reform Jewish Renewal adult. 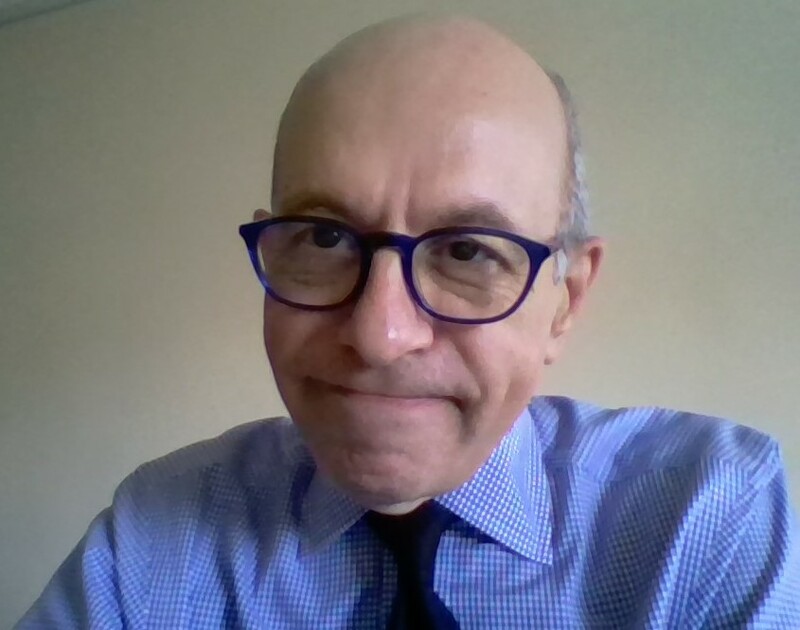 Greg brings a passion for building community, expertise in transpersonal psychology, and experience with various innovative Slingshot organizations to the helm of The Tribe, Shalom Baby, Shalom Family, all initiatives of Temple Beth Sholom in Miami Beach. In my observation, many see social justice and environmentalism as two separate things — but that is not the case at Aytzim. For us, caring about the Earth means caring about all of its inhabitants, and that includes us humans. For us, being an environmental organization requires us to be a social-justice organization. And while seeds for solutions may be nested in problems, when it comes to environmental issues we humans tend to be part of both the problems as well as the solutions. Pursuing justice — tzedek — is crucial to our work. We pursue justice for our fellow people, our fellow animals and our fellow residents, those who can speak and those who cannot, on our shared and sacred Earth. Certainly Jews — mostly young Jews — are attracted to our organization because they see their Jewish values reflected in our Jewish work. Anecdotally we know that Jews have found their Jewish connection through our work in a way that they did not find through mainstream Jewish organizational institutions such as synagogues, schools and Federations. In a way, therefore, support of our work enables support for Jewish continuity. While we recognize that is happening, we do not value that outcome. It is an unintended side effect that is valued by mainstream Jewish organizational life. Our interest is in doing good work that is informed by our Jewish values. It just so happens that our efforts also lead to strengthening Jewish identity. It is because our pursuit of justice is informed by our Jewish values that, for us, tzedek and wisdom — chochma — are tied together in a way that really cannot be separated. Jewishly, we find that to pursue justice both requires wisdom for its execution as well as its inspiration. In that sense, we cannot do one without the other. While we have been unable to separate chochma from tzedek, we have been able to work in tzedek-inspired chochma without the tzedek. This may be a good time to explain what I see as a key difference in the nature of these two terms. I see chochma as thought and tzedek as action. So at Aytzim, all of our actions are driven by our thought, but we also distribute thought without direct action (although we hope that the thought leads to action) through our educational materials. I would argue that the missing megatrend — the commodification of our culture — has been the biggest megatrend of all. Many of the newer Jewish initiatives that have done well have done so through the selling of products and services — be they Jewish food, Jewish dates, or Jewish service-oriented trips and fellowships. This is not intended as a criticism of those groups participating in the commodification — indeed, I have great respect for many of them — but rather to note that while it used to be enough for a Jewish initiative to succeed with a good mission and a well-considered theory of change, today those two factors are not enough. Rather, Jewish initiatives today need good business plans. Nonprofits still need donations of course, but cannot be solely reliant on them. If a study were conducted on percentages of Jewish-nonprofit revenues that come from selling products and services, I suspect that the percentages would increase dramatically over time and that newer Jewish nonprofits in particular would have higher percentages of their revenues coming from the sale of products and services. It is precisely this largest megatrend from which Aytzim largely abstains. We have no business plan. We sell nothing. Our work is nearly entirely financed through donations. And that, in turn, means microscopic revenues. Because the most important thing for Jewish initiatives today may not be whether or not one advances justice, wisdom, community and/or sacred purpose, but whether one’s work can be packaged and sold. 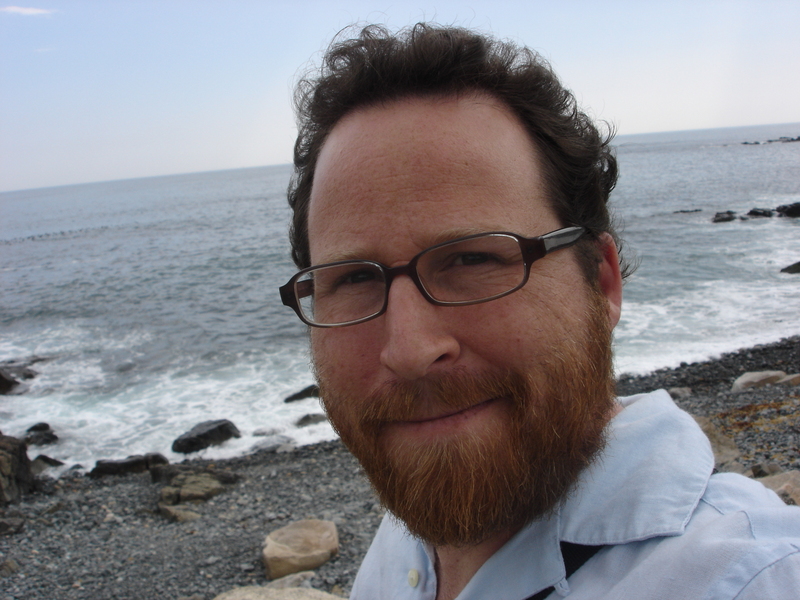 David Krantz is the co-founder and president of Aytzim: Ecological Judaism and serves on the board of directors of Interfaith Moral Action on Climate as well as Arizona Interfaith Power & Light. He is a National Science Foundation IGERT doctoral researcher and Wrigley Fellow at Arizona State University’s School of Sustainability. LimmudBoston, the annual conference celebration of Jewish lifelong learning, aligns strongly with the four basic propositions of Jewish Megatrends. Additionally, over the past decade of our existence, we have discovered the potential for an area outside of the four propositions of Jewish Megatrends. I propose here a concept which could not only help to revive Jewish community engagement, it could also inspire younger generations to remain Jewishly engaged as their programs evolve from free (Birthright style) to fairly priced. As the name suggests, Limmud—Hebrew for study—is a conference dedicated to Jewish learning. Even presenters attend as learners. Many join the volunteer teams that create and put on this annual extravaganza of everything Jewish. Learning at Limmud increases wisdom (chochma). LimmudBoston offerings include Jewish content through presentations, panels and performances centered on text study, Israel, Jewish life experience, education, parenting, aging, life cycle, spirituality, and almost anything else which has a Jewish component. LimmudBoston, one of 84 Limmuds worldwide, draws from New England and beyond. Teams of volunteers organize to create each Limmud (kehillah). These groups of volunteers determine the program, plan site set-up, produce a program book, organize kosher food, and carry out a myriad of conference day tasks. Volunticipation (volunteer + participation) brings a sense of ownership for their part of the planning. The majority of our planners return year after year, with a sense of sacred purpose (kedusha) because LimmudBoston represents an opportunity to own their part of the conference. As a volunteer-driven event, we provide multiple opportunities for tzedaka, both through financial giving, and ways to donate time and talent. We are well aligned with both the giving and the receiving ends of tzedaka. Local and international tzedaka projects engage at LimmudBoston in order to take advantage of a day-long opportunity to meet and reach new potential volunteers. In creating eight conferences over the past decade, we discovered that our volunteer-centric community often includes people facing life cycle transitions: new empty nesters, or those who are in-between relationships; newly retired adults; and those between employment opportunities. We have found a loyal posse of regulars who seek an organization like ours which can benefit from their time and talent, and not solely treasure. Although funders tend to focus on the number of millennials we attract and serve, that is not always our core constituency. The greater Boston area has a lot of millennial-specific programming. While plenty of young professionals attend LimmudBoston, especially when their employers pay their way as religious school educators, they are not (yet) actively engaged in LimmudBoston planning and execution. However, we do engage an active cohort of adults who are thrilled to volunteer as program planners, or day-of conference regulars who return year after year. For better or worse, some of these 40-plus adults feel that they are invisible to the Jewish community. Somehow federations and other funders convey the idea that anyone older than millennials should be donors. That is not always possible. Over the past decade, I have heard from many volunteers that they do not feel welcome in synagogues if they are not married, or parents of school children, or financial pillars. Our community must advance an area of Jewish life or practice that supports more than the under-40 age group. I am afraid that our Jewish community takes middle aged adults for granted. We need these people for Jewish continuity! The community cannot rely solely on the efforts of the fortunate few who are, indeed, wealthy. Limmud participants are often proudly Jewish, yet do not feel wanted because they do not fit a certain profile. As founder of LimmudBoston, I hear from community leaders who are mostly interested in under-40s. However, I urge funders to look to this other group for tremendous potential. With guidance, these could be future board members, leaders, and active participants. These are dedicated Jewish volunteers who would be delighted to be called on to offer more to their Jewish communities. In the Jewish Megatrends chapter provided, we read about Israel engagement and support as a measure of Jewish communal interest. For millennials raised on the Birthright program, and other follow-up activities, much has been provided for free. What will happen when that age group has to pay for their participation in Jewish life? I hereby recommend a program for Israel engagement for an over-40 cohort. Based on the Passport to Israel program where religious school parents set aside funds each year for their children to take a post-bar mitzvah trip to Israel, I propose a program for adults, who would actually have skin in the game. Let’s incentivize travel to Israel by creating a 3-year team-building program in which adults plan an Israel tour, study together, and save together. For those who need assistance, participants could request either a one-third or a two-thirds match. Some might not require a match at all. With this plan more Jewish adults would be learning together, and more would be traveling to Israel. Studies show that Israel engagement inspires Jews of all ages. I urge Jewish federations and other leaders to engage the greater Jewish community, not just those who can afford expensive galas. Entice the large cohort of American Jewish adults that feel priced out of Judaism. We, the Jewish community, have room for their many talents, spiritual hunger and tremendous energies. This Israel travel plan would immediately engage Jewish adults, and prospectively give the Birthright generation something to look forward to as they age. Israel would not be a one-time, teenaged thing. The Jewish community needs everyone’s efforts for strengthened Jewish continuity. The four propositions are a good beginning. Let’s make sure that every Jew feels included. Steffi Aronson Karp created the annual LimmudBoston conference celebrating Jewish culture and lifelong learning using tech skills, social media and a few shekels for the 501(c)3 application. She strives to strengthen the Jewish community through social and collaborative learning opportunities. In Jewish Megatrends, Rabbi Sid Schwarz posits four strategies for reinvigorating Jewish life in America. The Well’s work in Metro Detroit in many ways has been inspired by Schwarz’s strategies, and we’ve found positive impact with each of the four. Schwarz is right that DIY is all the rage, with millenials craving authenticity, depth, and access to resources. However, for many, access to resources without a guide as to how best to utilize / dive into them is insufficient. This has many feeling self-conscious about whether or not they’re capable of leading experiences (particularly ritual moments). It’s one of the reasons we’ve been very intentional about co-creating with the young adults in Metro Detroit. Their buy-in, efforts and social networks are essential if we’re to be successful. But we’re also intentional about working with them to ensure that the finished product provides the depth and content richness they so desire. Whether by introducing them to various resources, helping to suggest / cultivate partnerships, or utilizing some good old- fashioned, judgement-free coaching, we strive to empower and simultaneously uplift quality. Framing Jewish wisdom within the broader context of universal wisdom, as Schwarz suggests is right on the money. Our CSI (coffee, study, interpret) learning series does just that (and was designed with intention to do so!). It was selected by the Lippman Kanfer Foundation for Living Torah as a semi-finalist for its inaugural prize for applied Jewish wisdom and has been invested in (twice!) by The Covenant Foundation. Covenant is now helping us pilot the program in three additional cities in calendar 2018. Check out the eJP piece highlighting the model, impact and content we’ve created/utilized, which ties beautifully into Schwarz’s second strategy: Justice. Many of our CSI topics have been justice-centric, from the plight of Syrian refugees, to the Flint Water Crises, to LGBTQIA issues, to mass incarceration and more. There’s no question that our justice-centric topics draw crowds that spirituality or strictly culture-centric learning gatherings do not. It’s easy to look around the country at the communities held up as beacons of the new Jewish ideal (the Jewish Emergent Network in particular) and to see that each of those seven communities are located in big cities (with the exception of the Kavanah Cooperative in Seattle) and are clearly liberal in their construct/orientation. There’s no question that in today’s hyper, tech-connected age that folks are craving ways to connect with others in person. Just as Judaism has for many centuries been countercultural, so too we have the ability to be relevant by bringing people together, face to face, with regularity. The Well currently has 15-20 shared interest groups that gather monthly – Shabbat dinner groups, Rosh Chodesh circles, giving circles, whiskey groups, and even an Indian lunch buffet exploration group. People are craving the chance to connect with others. Where we come in, is that in some communities, people are hoping others can help weave them together with those they aren’t particularly close with but think they’ll connect with. So many young folks have left Detroit that those who are here (or have come back) don’t necessarily still have their nearest and dearest friends living here, and they’re excited to connect with those who are living locally because they see themselves here long term. There’s a tremendous opportunity to network weave community that we’re intentionally utilizing. Schwarz argues that people are willing to pay for things they perceive to be of value. We have indeed found this to be true. The Well just had its first forward-facing fundraising campaign and welcomed over 400 unique investors. And yet, the Birthright culture of “free” is a real problem. We’ve been very intentional from the outset to never use the word “free” on any of our promotional materials. The closest we’ve come is: “No cost to attend due to the generosity of donors. Actual cost per person is ____.” Even for those willing to pay, there’s no question that the amount is less than previous generations paid to belong to synagogues, and is nowhere near a sustaining amount. Schwarz is right that there is a sense of spirituality and a craving to connect with the energy of the world amongst millennials, but they balk at the word (and Biblical construct) of “God.” Traditional prayer is rare – alternative opportunities to connect spiritually are key. And frankly, my personal rabbinic mission is to help people answer the question “Why Be Jewish” and/or “Why Be Part of Jewish Community” absent a belief in God, Covenant or Commandments – because those concepts simply do not resonate with the overwhelming majority of young Jewish or Jewish-adjacent adults. The explanation: “because it’s tradition,” will not suffice. The challenge is that the answer for each individual is going to be deeply personal and it takes time to clarify the terms and the intention. Schwarz is on the money with his essay, and his four propositions are on point. Wisdom, Justice, Community and Purpose are all areas where The Well has brought intention and found great success with millennials in Metro Detroit. Questions remain as to what the long-term impact of focusing on these four strategies will be, and what it means for the Jewish community when there are many organizations focusing on just one of them as opposed to all of them holistically, as we become ever more accustomed to a “buffet” Judaism that, in the words of Judaism Unbound’s Dan Libenson, is less like an operating system, and more like an app. 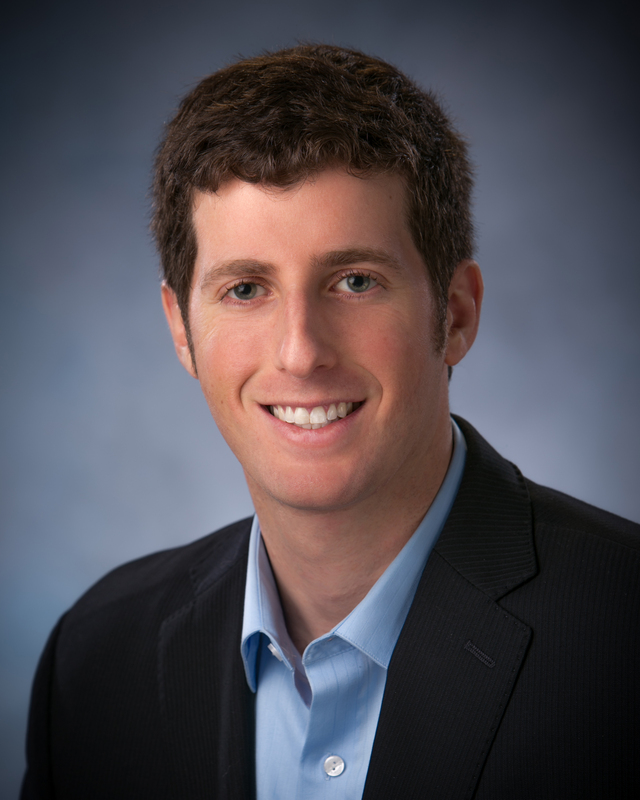 Rabbi Dan Horwitz is the founding director The Well, an inclusive young adult Jewish community-building, education and spirituality outreach initiative in metro Detroit recognized by Slingshot as one of the 50 most innovative and impactful Jewish organizations in North America. 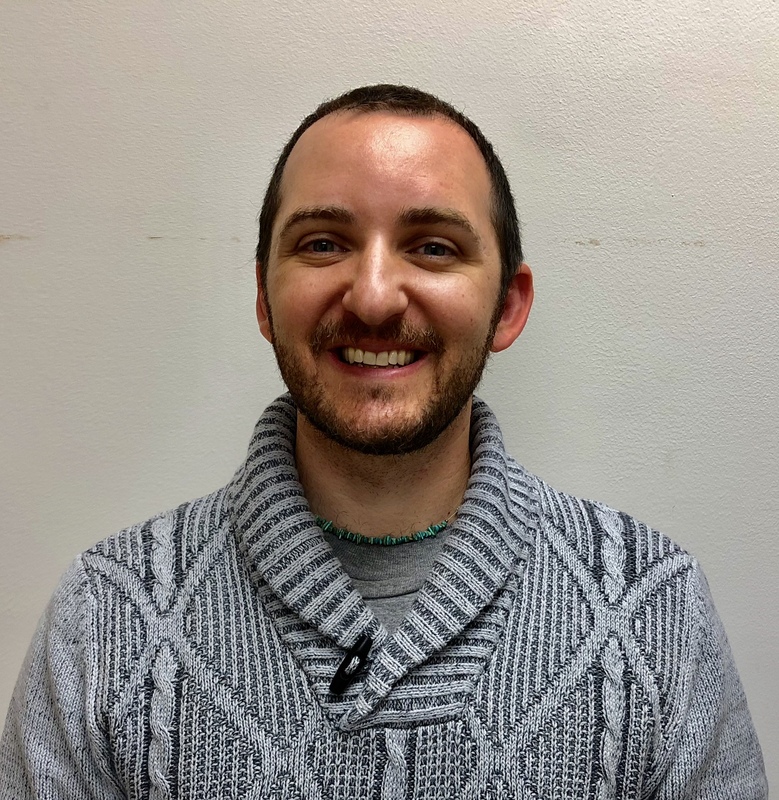 Committed to lifelong learning, Dan holds a BA, 3 MAs and a JD in addition to rabbinic ordination, is an avid basketball player, violinist and hummus enthusiast. “I wish there had been more ritual at the beginning of Shabbat dinner,” their feedback resounded. After the Riverway Project at Temple Israel of Boston helped lay-leaders host an LGBTQ+ Shabbat Dinner, we surveyed participants to understand how we might work together to offer explicitly welcoming experiences to the queer Jewish community. Feedback was unanimous. In addition to the gratitude for this intentional welcome and creation of a queer Jewish space, attendees collectively wanted MORE depth of ritual and conversation. “I loved the Mussar text and conversation in services; I’d love more of that in the future,” another voice offered. This time it was “Shabbat in the Bridge,” a Shabbat experience in a Harvard Square church. Sixty-five folks in the Jewish orbit (primarily millennials), registered in advance, paid for their own dinner and participated wholeheartedly. Once again, the feedback was unanimous: a genuine “thank you for coming to our side of the river in Boston!” and: we want MORE – more depth, more Shabbat, more conversation and connection. Two messages abound: thank you and we want more. As loneliness becomes a public health crisis, the young adults we meet want more learning and ritual and they want to pursue their sacred Jewish purpose in relationship with others. Serving Jewish young adults is to strike a tricky balance. Some have not stepped foot in a synagogue in years. Many grew up in Hebrew school environments that often failed them. Others are self-identified Hebrew school dropouts who ended their formal Jewish learning post-Bar Mitzvah, but still see their Jewish identity wrapped up equally with other identities they cherish. Often, we fall into our own trap of treading lightly… too lightly. Let’s get them in the door. Let’s organize around free food or drinks at a bar. But actually-they want more and they are starving for it. I am in agreement with all four propositions in Rabbi Sid’s essay. The future of Judaism and the work of the Riverway Project at Temple Israel of Boston is one that pursues and co-creates this “moreness” – pursuing sacred purpose through communal learning, ritual and justice. Deep wisdom and true justice work are the means to shaping the future of Judaism. Jewish ‘lite’ does not appeal to many millennials in Greater Boston, who we call “emergent seekers.” Emergent seekers are intrigued by Torah, by Mussar, by depth. It is not just the convenience of Shabbat on their T line. They’ve chosen to spend Friday night in an explicitly Jewish setting because they want more depth of conversation, connection and community. In addition to connecting to the rich tradition of Torah study and scholarship at Temple Israel’s Center for Adult Jewish Learning, the Riverway Project is building a learning experience to create a space where life and text meet. “The Bridge: Deep Wisdom for Troubled Waters,” intends to deepen Jewish spiritual resilience through conversation and community building, weaving the wisdom of ancient Jewish texts with poetry, music, spiritual writing, and media from universal sources. When Lena Dunham meets Nechama Leibowitz meets Anne Lamott, participants will truly experience transformational and reflective moments that help them face troubling times and transitions, and to deepen their search in times of stability and strength. In this dysfunctional moment in our political culture and our planet’s future (proposition 2), emergent seekers meet me for coffee and share concern for the world as it is and their hopes for the world as it should be. The Riverway Project’s commitment to pursue tzedek is rooted in Temple Israel’s historic commitment to tikkun olam. We don’t just do justice work with other millennials. We are working in intergenerational teams in the congregation to pursue immigrant, racial & economic justice and other issues that threaten our society. Amid an urgent need for synagogue transformation (proposition 4), there is tremendous excitement and interest in emergent spiritual communities and faith leaders in their first 3-5 years of growth. However, Riverway is nearing its (still youthful) 18th year of life and we frequently face institutional ageism. Our rootedness in an historic synagogue is often seen by funding and incubator organizations as a barrier to innovation and renewal. While we know that many Jewish legacy institutions are losing market share, it is entirely possible for an institution with a clear vision and strong leadership to innovate from within. Temple Israel and its Riverway Project are evidence of this possibility. Riverway serves as both point of entry and sacred space for deepening Jewish experience. It is aimed at someone attracted to learn about forgiveness around the High Holidays who then has a welcoming place (if they choose) to go to celebrate the holidays. It is aimed at someone who comes in grieving the loss of a parent and then has a supportive place to say Kaddish. It is aimed at the passionate activist’s desire to study Judaism’s prophetic voice and then desires an outlet for that expression within an ongoing community. It is aimed at an interfaith couple navigating how they want to build a Jewish home who then have a genuine relationship with a rabbi who officiates and welcomes them into a community in which to raise their child. Riverway has been able to attract Jews living on the margins of institutional Jewish life, by intention or accident. We have attracted Jews who felt disenfranchised from a tradition that feels archaic or irrelevant, too tribal, insular or distinctive; we have attracted Jews who felt that ‘belonging’ to a Jewish institution was either too financially inaccessible or an unproven values proposition; and we have attracted Jews who would identify as ‘spiritual but not religious,’ favoring Soul Cycle and Brene Brown over synagogues. The Riverway Project at Temple Israel of Boston and “the Bridge” are unapologetic relatives of synagogue life, seeking to fulfill their very names – to be at the center where all streams come together and to serve as a bridge, a connector, a link, at the crossroads that reaches Jewish emergent seekers, their friends and partners of all faiths who are on the fringes of our Jewish community’s institutional life, bringing them in for more. 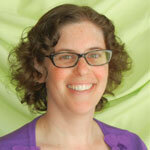 Rabbi Jen Gubitz serves Temple Israel of Boston with responsibility for their Riverway Project. She is a proud product of Indiana University’s Borns Jewish Studies Program, URJ Goldman Union Camp (GUCI) and the Hebrew Union College – Jewish Institute of Religion in New York. She loves earl grey tea, folk music, puns, and improv comedy’s mandate to always say “YES”. The four propositions in the Schwarz essay form a solid basis for a purposeful community animated by spiritual values. Wisdom, justice, and community are essential for any society, and the dimension of the transcendent situates their source in God. At the same time, those values become problematic when Jews are collectively treated as a “market” and each Jew becomes a “consumer.” Spiritual communities are animated by values, while the marketplace thrives on satisfying desires. That’s not just a philosophical difference. It means that their goals, mechanisms, and measures of success are fundamentally incompatible. The driving force of any religious movement is leadership. A spiritual community is not driven primarily by the desire for gain or gratification, but rather by a vision that is typically found in an inspiring narrative or a trusted leader (or both). By contrast, the marketplace assumes the wisdom of crowds and equates buyer behavior with a sort of truth. As the ancient Romans said, “Vox populi, vox dei” – “the voice of the people is the voice of God.” For a religious person, however, the voice of God does not emanate from the people. Human beings, rather, are the creatures of God, and they are called upon to enact God’s will. When religious communities take their lead from surveys and trends, rather than from a spiritual source, they effectively mimic the dynamics of the marketplace. They begin to favor short-term success over timeless values, where “success” is defined in terms of standard quantitative metrics. The mission statement may speak of education, justice, and society, but the business plan talks of membership units, donor cultivation, budget growth, event attendance, “open” rates, click-through rates, and approval ratings. There is nothing inherently wrong with measuring those things, but they aren’t particularly correlated with increased wisdom, greater social justice, stronger communal bonds, or deeper holiness. According to market economics, consumers act in their self-interest – but self-interest is often quite different from the common good. Besides, a lot of people are poor judges of what is good for them. As a practical matter, they make choices which may be gratifying in the short term but are harmful to their health, well-being, or future. That’s why there is an inherent mismatch between standard metrics and spiritual communities with a public-service mission. What’s more, a successful product or service needs a unique value proposition. For example, if you advertise that you’re opening a store that sells oranges, that won’t distinguish you from other fruit sellers. But if you will deliver mangosteens, pomelos, and mikans that can be ordered online, that may be a unique value proposition. As with oranges, it’s not hard to find options for pursuing wisdom, social justice, community, and sacred purpose in the United States, inside and outside Jewish life. These values therefore don’t form anything like a unique value proposition, separately or together, which is an enormous competitive disadvantage. That’s not an argument against such ventures, only an argument against “reading the marketplace” as a way to achieve communal goals. Following the conventional wisdom of the day is the opposite of creating something of unique and enduring value. And that has concrete market consequences. If we offer the same benefits as another ‘product,’ but with a Jewish label, our only competitive advantage will be price. Not surprisingly, that’s exactly how the institutional Jewish community has evolved. Instead of charging a fair price for value received, we pay people to take our products. That’s a failed marketing strategy, and it’s not sustainable in the long term. Another marketing variable is the target demographic, specifically distinguishing between “tribal” and “covenantal” Jews. The proportion of Jews who are motivated primarily by “covenantal” concerns has always been small. As in most religious groups, the main appeal of synagogues has historically been tribal gatherings—rites of passage, socializing, communal celebrations. Outside the synagogue, as Jewish Megatrends notes, the major reasons for Jewish participation over the past century have all been tribal: anti-Semitism, the Holocaust, Israel, and Soviet Jewry. Today, tribalism is widely considered distasteful or even racist by many American Jews, especially younger ones. Nonetheless, tribalism remains one of the most potent forces in the world today, from Ferguson to Quebec to Scotland to Hungary to Kurdistan to India to Tibet. It’s also worth noting that the two U.S. religious groups which most successfully transmit their values to their children are Mormons and Evangelicals. Both maintain the equivalent of a strong tribal identity. They see themselves as distinct from the people around them and their adherents socialize largely within their community – much as Jews did, until the barriers around the Jewish community fell away. From a strictly pragmatic perspective, to focus marketing on non-tribal, non-religious Jews is to place the greatest hope in the people least likely to commit to a Jewish community. Those people can fulfill their universalist aspirations more completely through non-Jewish pursuits. It’s hard to overcome that immense competitive disadvantage. For that reason, from a marketing standpoint, it makes no sense to expend enormous effort and substantial funds in order to attract the least likely prospects. Yet that’s exactly what the organized Jewish community does. Compare that to Chabad’s ‘business model.’ It has created hundreds of synagogues that epitomize a “warm and welcoming” environment while holding fast to its core principles. And unlike so many other outreach efforts, it is completely unconcerned with marketing. Avowedly tribal, it models its version of commitment, confidently and unapologetically – and without significant outside subsidy. As a nonprofit ‘business,’ it has achieved great success. We can learn from Chabad’s self-confidence, its willingness to do what it believes while trusting that it will find its audience. Whatever we may think of their beliefs and practices, they have attracted many unaffiliated Jews to their communities. Like them, we must not allow our purpose to be overshadowed by the temptation to conform to conventional wisdom. We, too, need to be leaders who inspire others with our mission, not our metrics. Bob Goldfarb is the Men’s Davening Coordinator at Darkhei Noam in New York. He’s also the president of Jewish Creativity International. My organization, Tkiya, uses participatory music experiences to help people of all ages find their unique connection to Jewish culture and to reinvigorate diverse Jewish communities. The work that we do aligns with each of Rabbi Sid’s propositions to varying degrees. Additionally, I believe that our work advances areas of Jewish life that are not contained within these four propositions. The first proposition states Jewish institutions need to offer multiple avenues to explore chochma or wisdom. When I describe the need for Tkiya’s work, I open with “as fewer non-Orthodox Jews are self-identifying as Jewish, it is important to acknowledge that it is becoming increasingly difficult for many Jews to connect with a religion and culture so historic in a world so modern”. On a daily basis my team works to create new and innovative experiences that meet families where they are and helps them to connect with their heritage in their own way. On any given day we offer everything from a family singalong at a childrens’ playspace to a Shabbat service and everything in between. In fact, more than a dozen synagogues have partnered with Tkiya to help them think outside the box (or outside the Shul) and reach families in new ways. In an era where every aspect of our lives is customizable, we need to follow suit! Proposition two speaks to the need of the Jewish community to provide more ways to engage in social justice. In the past year, we have created opportunities for families to advance tzedek through various service projects. We are currently working on a series of events through a multi-tiered partnership with Romemu and PJ Library, completely centered around bringing families together to create love in action. We kicked of the series with a big Chanukah event this past December at the New Jewish Home which was so innovative it caught the attention of the press! Proposition three, kehillah/community, is the entire basis on which I built Tkiya. After studying and teaching music and dance in Uganda, I came back to New York with a specific idea of “community music”, where people come together to celebrate their culture and community through music. I discovered that community music schools in New York were not what I thought they should be. Furthermore, there were no organizations centered around Jewish community music specifically. Fast forward 4-5 years, and the need that inspired the founding of Tkiya is being consistently reinforced. When I hear from families in Brooklyn and Queens who are interested in Tkiya’s programs, the emails often read “we are looking to be involved in any kind of Jewish community”. And testimonials from families who attend our programs often speak to how valuable the experiences have been to help them make connections to other Jewish and interfaith families. I always knew that this is a value Tkiya was providing to families. What I didn’t know is that they were conscious enough of that need to articulate it themselves. Proposition four speaks about offering a glimpse of kedusha, or sacred purpose. Although I never thought about it in this way before, this seems very aligned with Tkiya’s approach to Judaism. Our experiences offer participants an unintimidating taste of Judaism that gets them excited for more. This is an entry point that a lot of institutions are missing and is why more organizations are partnering with Tkiya to assist in engagement. Through these partnerships we are lucky enough to be able to provide Jewish experiences at no cost to participants. What makes Tkiya successful is twofold. One aspect that is unique to our approach to Judaism through music is our background in education which helps us tailor experiences to make them effective and engaging. The other is our flexibility and adaptability. Many Jewish institutions try to appeal to a wide audience but they are not able to translate it into practice. In fact, I originally envisioned Tkiya as a physical place. The transient model was temporary due to financial restrictions. However, in our first two years it became clear that flexibility was the key to our success. Tkiya’s impact is maximized through our ability to adapt and meet families where they are at, physically, emotionally, and religiously. We look forward to continuing to expand our partnership network to reinvigorate more and more Jewish communities in the New York Metro Area and beyond! 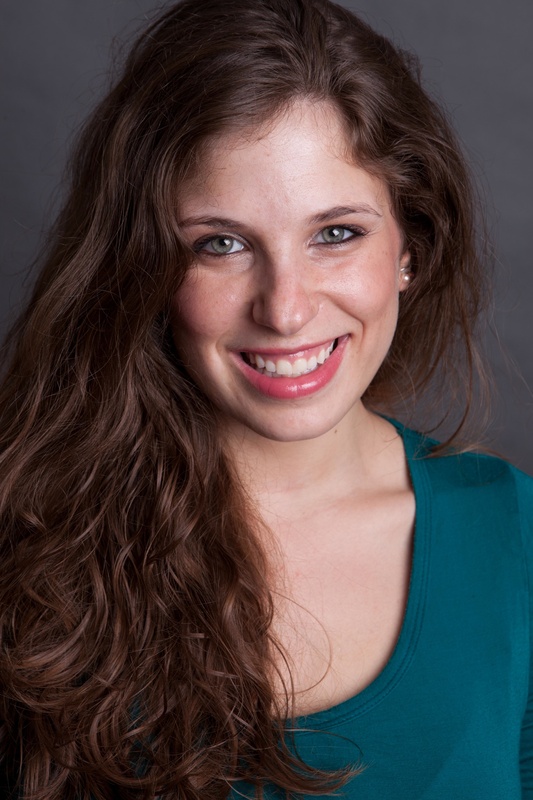 Carla Friend holds a Master’s Degree in Music Education from NYU and a Bachelor’s in Music Education from Ithaca College. 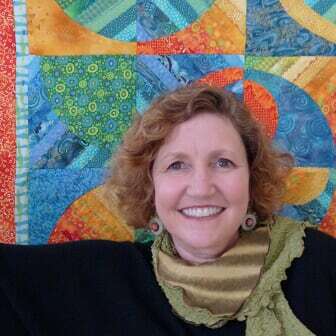 Since founding Tkiya, Carla’s impact has rapidly spread across the New York area and she is recognized as an expert in family engagement and early childhood music.